Very simply the best value offered for OTR. Purchase the Everything Bundle and you can have access to all TrackPacks available today and forthcoming. As of today, there are 27 trackpacks that retail for 9.99 each. The bundle will provide you with a 40% discount off the current retail value. All future trackpacks will be included without any additional fees. 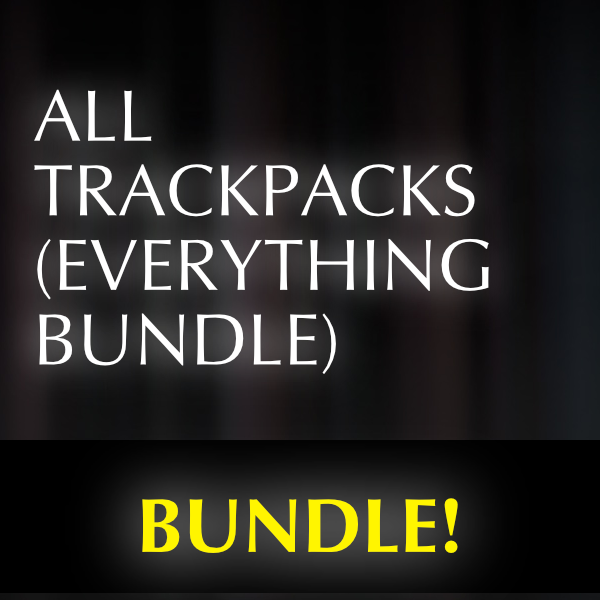 But hurry and purchase now because each additional trackpack added will cause the price of the bundle to increase. So buy today with confidence knowing you have “bought in” to the phenomena of pre-configured TrackPacks for OTR.